In its inaugural Summer, the NOSH is making foodie friends from its prime slice of Wicker Park real estate; every Saturday from 10a to 5p, dozens of local eateries and vendors put out their best bites. 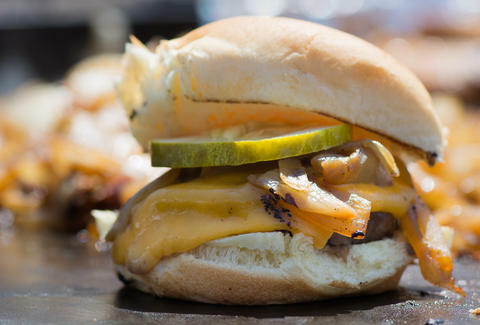 Sure, you can opt for a farmers market with scented soaps and exotic rutabagas that will rot in your fridge, but why not hit up NOSH and help yourself to this juicy cheeseburger slider with grilled onions and house pickles from the folks at Paulina Meat Market along with these six pick-ups? 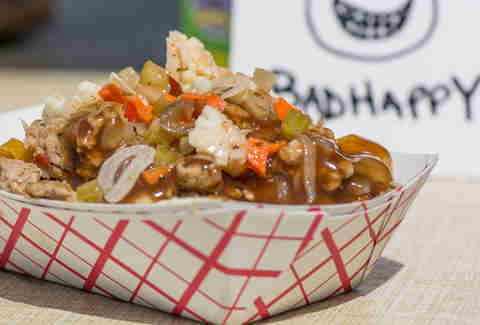 Canada invades the NOSH not with an army of lumberjacks, but with BadHappy’s Da’ Local poutine, a Chi take on the Quebec creation, heaped with Italian sausage, house giardiniera, sweet peppers, mushroom & onion gravy, and curds. 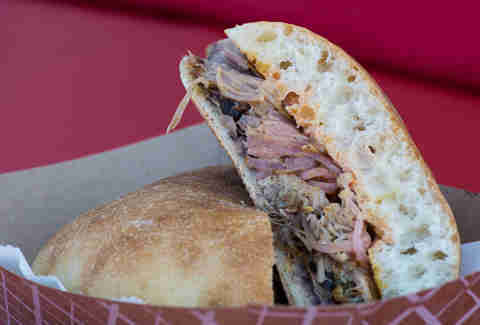 Mixteco Grill’s pork torta is packed with black beans, poblano, red onions marinated in orange juice, chipotle mayonnaise, and habaneros. As Ken Griffey Jr. might say, “It’s like there’s a party in my mouth and everyone’s invited,” but probably not in one take. 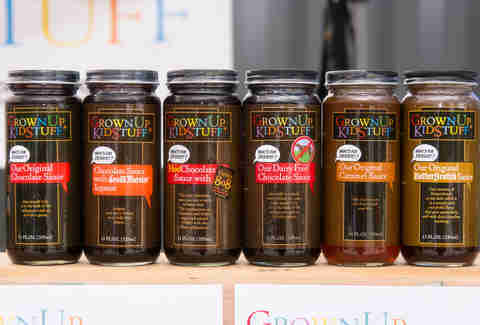 GrownUpKidStuff’s killer chocolate sauces truly live up to their name: chocolate sauces infused with adult flavors like spicy pepper and Grand Marnier that, at first taste, bring you back to the dog days of childhood sundaes, along with some hair of the dog that bit you (booze, not a literal dog... unless you were in The Sandlot). 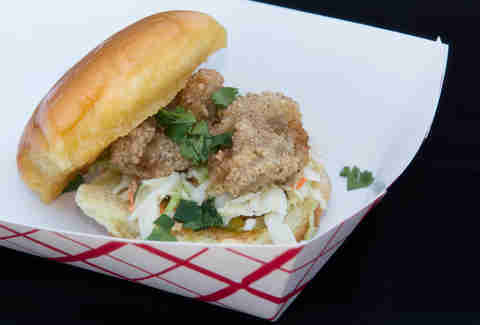 Bento Box’s fried oyster banh mi comes with Sriracha aioli, ginger slaw, and house-pickled chilies. 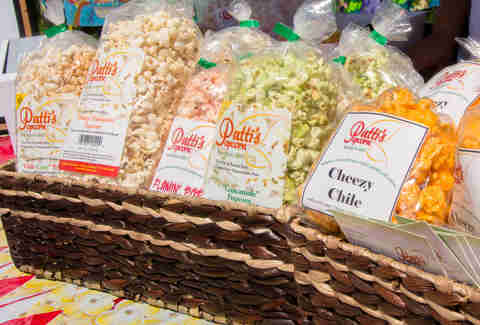 Patti’s Popcorn has converted pretty much every football halftime snack into a popcorn flavor (salsa, guacamole jalapeno, chipotle cheddar), so you won’t have to fear double-dipping. 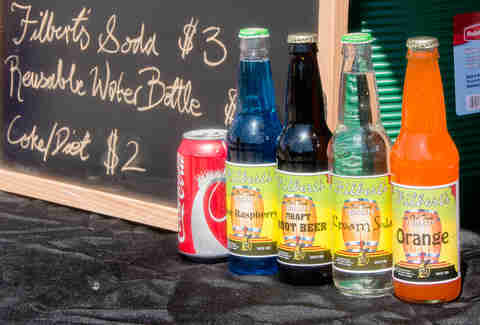 Wash all that goodness down with one of Filbert’s craft sodas, which come in a variety of colors and flavors, like a blue raspberry that will make you glad we no longer live in a world with Pepsi Blue.